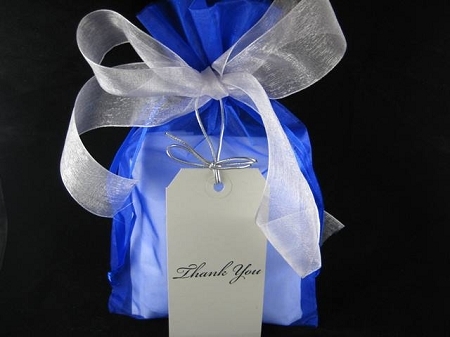 Home > Gift Wrap / Polish > THANK YOU GIFT WRAP Option - Choose to have your item Gift Wrapped! Please write your personal greeting as you wish it to appear on the back of the Gift Tag. Thank you for checking your spelling! 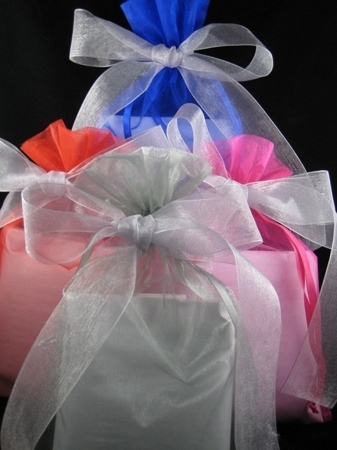 The Run Home is happy to offer you a HAPPY BIRTHDAY GIFT WRAP OPTION for your special gift! Each GIFT WRAP OPTION will fit one item inside. Your item will arrive in a stylish black jewelry box carefully wrapped in a sheet of white tissue paper then placed in an organza bag tied with 3 feet of silver organza ribbon with a hand stamped silver gift tag tied with a cute silver bow with the message of your choosing hand written on the back. 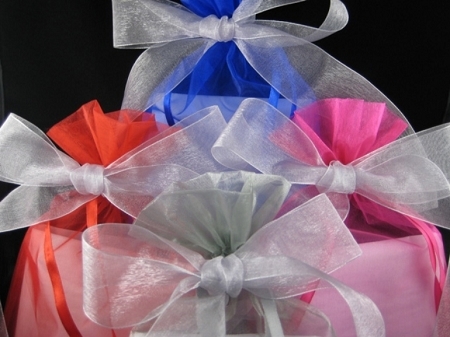 The GIFT WRAP OPTION is available with either a Red, Royal Blue, Silver or Hot Pink Organza Bag. Please leave me a Message telling me what you would like your personal message to the gift recipient to be. If you do not leave me a Message to Seller stating what you would like me to write on the back of the gift tag, I will leave the back blank for you to include your own message. If you are purchasing multiple items at once, please let me know which of your items is to be placed in the GIFT WRAP OPTION Bag. Please keep in mind, GIFT WRAP OPTION will fit only one item. If you would like to GIFT WRAP multiple items, please purchase additional GIFT WRAP OPTIONS. Add the GIFT WRAP OPTION to your item at checkout. Please purchase your item and your GIFT WRAP OPTION at the time so shipping of your item is not delayed. Please note, the picture with the Red, Hot Pink, Royal Blue and Silver organza bags are an example of the colors available. The GIFT WRAP OPTION is for only one organza bag.